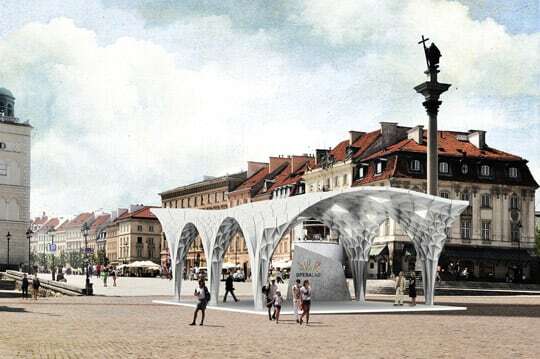 The TRIP Pavilion is a competition design proposal for Warsaw’s “Teatr Wielki” in Poland. The client brief’s ­­demand for 150 sqm covered event space results in a classically proportioned 10 by 15 m rectangular roofed plan. A roof gesture is the most logical answer to the creation of an open space that can gather people on a single spot. To guarantee maximal usable and flexible space, the floor area should remain column and structure free. Therefore 6 points were defined where the roof can touchdown. 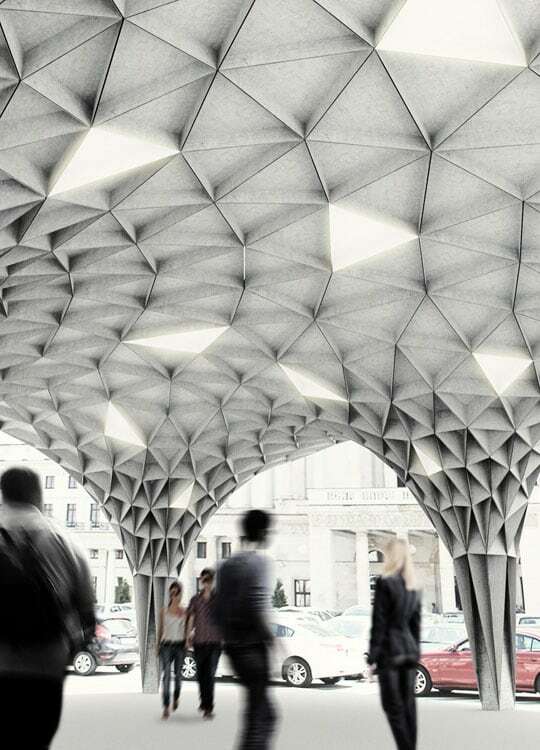 Inspired by Teatr Wielki’s graphical patterns, the TRIP Pavilion brings a contemporary take on ornamentation. Also BMW’s fascination for beauty through performance is incorporated, as both of these qualities form the basis of the applied design and fabrication methodologies, leading to the pavilion’s conception: A triangle pattern (a triangle is structurally the most stable primitive) is taken as a base for ‘structural ornamentation’. 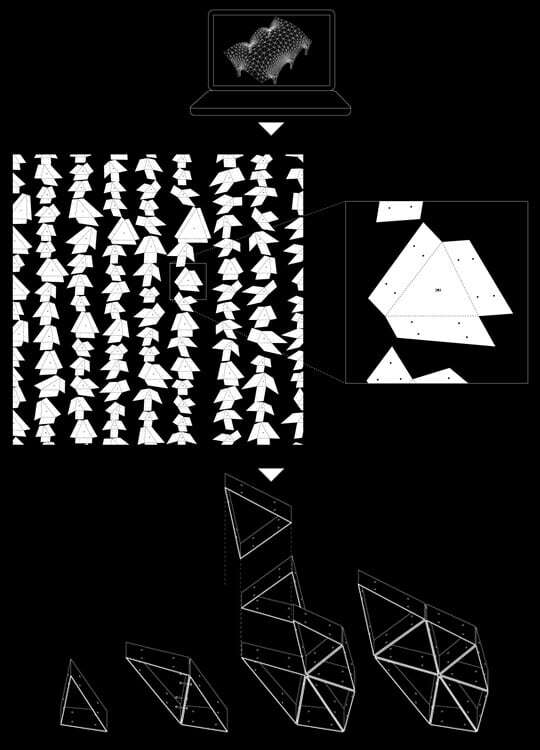 A changing triangular pattern results from a generative process that starts from a set of pre-defined touchdown points and maximum and minimum panel edge lengths. 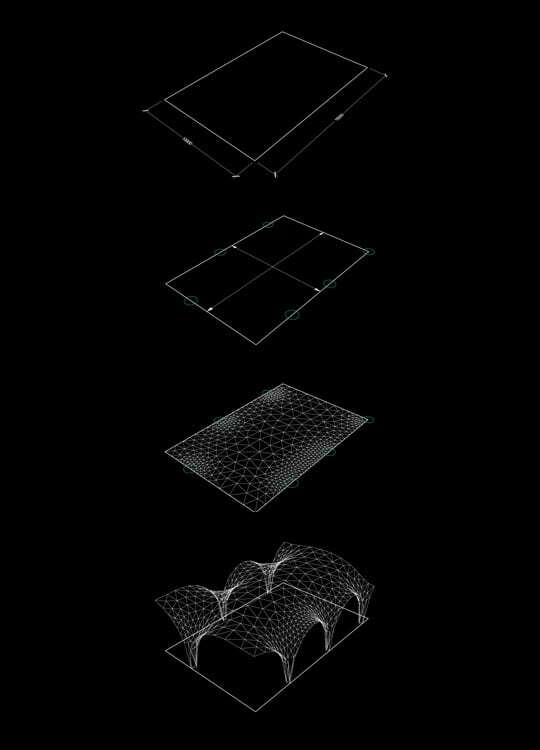 Where the structure comes down to ground, the triangle pattern densifies, providing more material to disperse load. 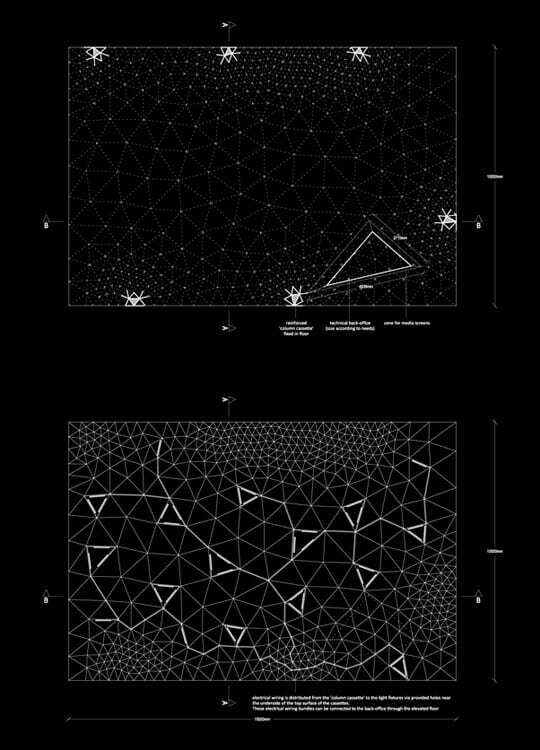 The zones furthest away from the touchdown points are filled in with the largest triangles which reduces weight while keeping dimensions workable. The triangle pattern forms the base for an easy assembly technique with connectable metal cassettes. 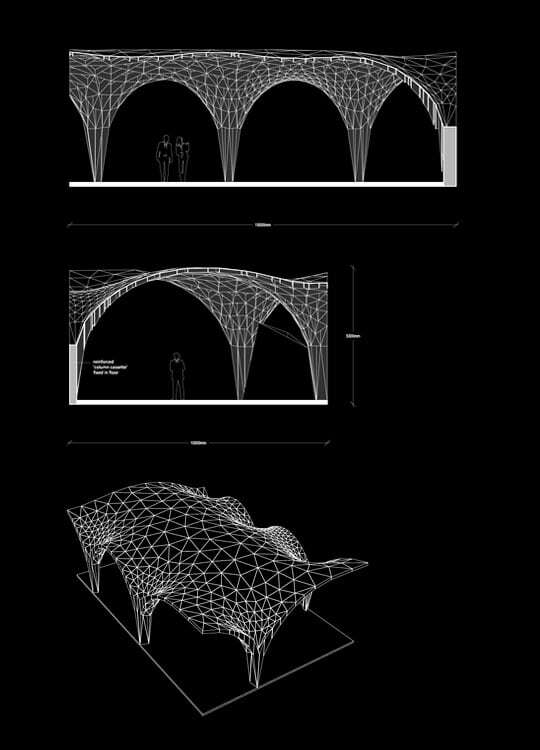 The arc-shaped silhouettes of the pavilion create big spans in a structurally logical way. This natural response to the structural forces allows for a very thin and lightweight (aluminium or thin steel sheets) structure.